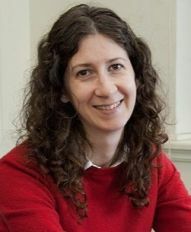 Elizabeth Holzer joined the University of Connecticut in the Fall 2010 after completing her doctorate at the University of Wisconsin. In her research, she seeks to foster a fuller and more humane understanding of how people engage with politics in situations of violence and instability. In her first project, an ethnography of a Liberian refugee camp in Ghana, she documented the resurgence of the ordinary nonviolent political activities in humanitarian crisis. In exploring humanitarian responses to these refugee activists, she uncovered barriers to civic engagement that unintentionally criminalized and radicalized even nonviolent politics. The project received support from the National Science Foundation, the Charlotte Newcombe Foundation and the Harry Frank Guggenheim Foundation. She recently published a book from the project, The Concerned Women of Buduburam: Refugee Activists and Humanitarian Dilemmas (Cornell University Press, 2015). In 2016, she launched an international collaboration with engineers at the University of Connecticut, the Ethiopian Institute for Water Resources and other institutions to explore the political institutional constraints of international science and technology development. The project, which promotes a people-centered approach to the water-food-energy nexus, was recently awarded a $4.3M grant through the National Science Foundation’s Partnerships in International Research and Education. Elizabeth Holzer. 2014. “Humanitarian Crisis as Everyday Life.” Sociological Forum. 29(4):851-872. Elizabeth Holzer. 2013. “What Happens to Law in a Refugee Camp?” Law & Society Review. 47: 837-872. *Winner of the 2014 Outstanding Published Paper Award from the American Sociological Association Peace, War, and Social Conflict Section.